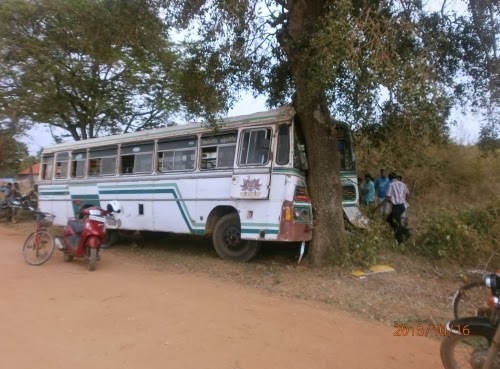 A private bus transporting passengers from Mallawi – Panaggamam met with an accident 11.00 am last morning. 20 passengers were injured and rushed to the Killinochchie and Mallawi hospitals. A sudden blast occurred in the tire and clashed with tree at the site.